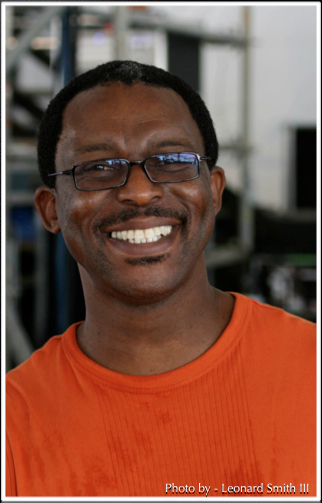 Herlin Riley was born February 15, 1957, in New Orleans, Louisiana. Born into a musical family, Herlin was always surrounded by music. He began playing the drums at age three. He studied trumpet throughout high school and two years of college. His attraction to the trumpet was short-lived, however, and he concentrated his efforts on the drums. Herlin was a member of Ahmad Jamal’s group from 1984 through 1987. He has recorded with Marcus Roberts, Dr. John, Harry Connick, Jr., George Benson, Benny Wallace, Mark Whitifield, among others. His theater experience includes playing in One Mo’ Time and Satchmo: America’s Musical Legend. In the spring of 1988, he joined Wynton Marsalis’ touring and recording group, which he performed with through its disbanding in late 1994. He also performed on the first Lincoln Center Jazz Orchestra United States tour in the fall of 1992, performing the music of Duke Ellington. Herlin is a regularly featured musician at Jazz at the Lincoln Center. He has released two recordings as a leader, Cream of the Crescent and Watch What You’re Doing. Both of these albums feature fellow Lincoln Center Jazz Orchestra members. In February 2016, Herlin released his new album "New Direction".